Yesterday, I listed ten ways you can use LinkedIn to promote your business and reach potential clients. One of the methods I listed was creating a company profile. 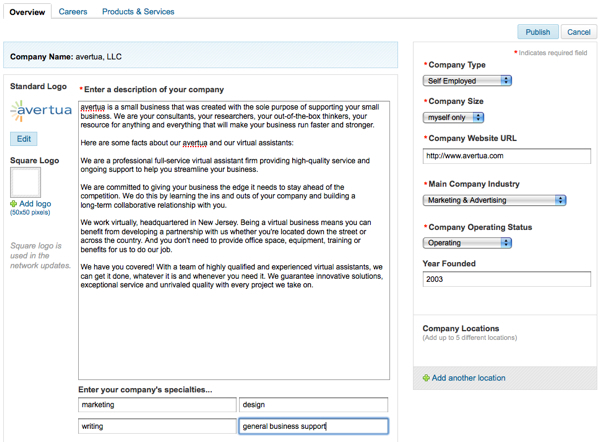 As a consumer, company profiles are an excellent way to research companies you are considering hiring or working with. As a company, company profiles give you a way to create a business-focused page that describes your products and services, identifies personnel, presents offers and promotions, and gives interested parties an easy way to contact you. 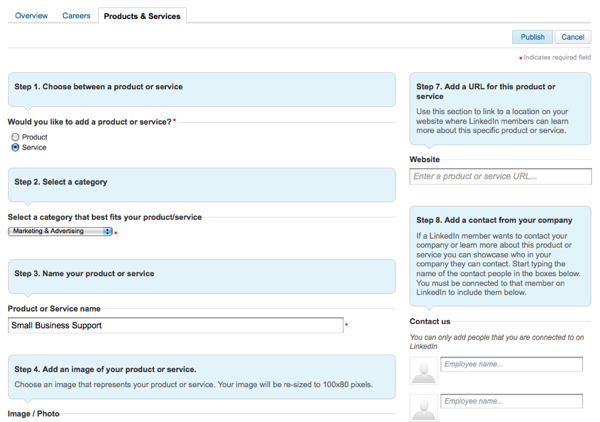 Here is a step-by-step process for creating your company profile on LinkedIn. 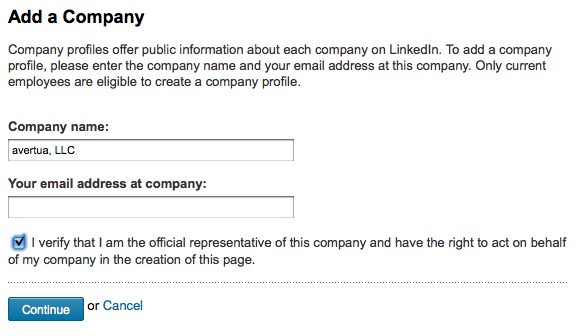 First, login to your LinkedIn account. 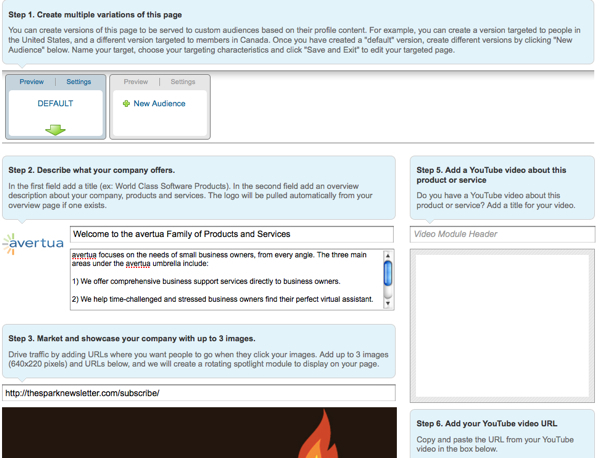 Then, click the Companies tab in the top navigation, and click Add a Company. Once you have added at least one product or service, you will be prompted to create a landing page for your products and services. The cool thing about this is that you can create different versions of this landing page that you can customize for specific audiences, based on the information they have in their profiles. First you create a default page, then you can “add audiences” to create new pages that will only be seen by specific people. For example, you can create a version targeted to people in the United States, and a different version targeted to members in Canada. To create your default landing page, enter in a description and up to three spotlight images. These images will be included in a graphic slider that appears on your landing page and links directly to any URL you’ve entered. You can also add a YouTube video to your landing page. Your live landing page will have your description, the spotlight slider and then all of your products and services listed underneath. This is what the live landing page looks like. Once your company profile is complete, you can click the Promote button at the top to go to LinkedIn DirectAds and set up an advertising campaign. Even if you don’t go that route, though, you can begin to include your custom company profile URL everywhere you include contact information for your company. Do you have a company profile on LinkedIn? How do you use it to promote your business?